Habitat: This creature lives underground. 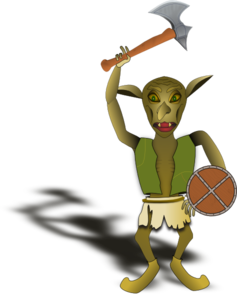 Appearance: The goblin has green skin, pointed ears, and sharp fang-like teeth. It is often described as incredibly ugly and fearsome looking.